A No. 1 remains elusive for Drake. Billboard reports that Drake's "One Dance" climbed to No. 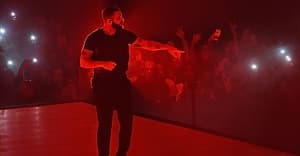 2 on the Hot 100 this week, marking the second time in less than a year that Drake has been stuck in the second spot on the singles chart. Last October, the Weeknd prevented Drake from nabbing his first ever solo No. 1; this time Desiigner's "Panda" is keeping him off the top of the chart. Amazingly, two Prince singles entered the top ten this week: "Purple Rain" at No. 4 and "When Doves Cry" at No. 8. Six other Prince tracks can be found in the top 40, and five of the top seven albums on the Billboard 200 are Prince recordings. Check out the entire top ten here.